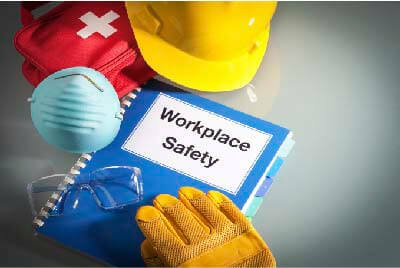 DESCCO Water Treatment Plant Construction and Maintenance – A Division of DESCCO Design and Construction, Inc. continues to be committed to workplace safety. Our primary goal is to provide our employees with a safe workplace and to protect them from hazards that would keep them from supporting themselves and their families. This commitment begins with safety and environmental training for our supervisors and every employee, and it continues daily through our dedication to provide a drug-free workplace. Over the past few years, we have made immense strides in advancing our safety programs to coincide with the work that was already in place. Our commitment to a safe work environment on all our project sites benefits our employees as well as our partners. With these workplace safety measures, DESCCO has been able to improve employee wellness and streamline our construction processes, which benefits both the employees and the companies we work with. Since 2011 DESCCO has participated in the Associated Builders and Contractors, Inc.’s Safety Training and Evaluation Process (S.T.E.P.) This program evaluates, and rates company’s safety performance based on its safety record, training, EMR and incident rate. In 2016 and 2017, we were proud to receive the highest level of achievement, the Diamond Level Safety Award. This is a step up from the Platinum Level we were awarded the previous three years. DESCCO Design & Construction carefully vets all our subcontractors.